The company was formed in 1922 as the Equipment Department of the Scout District of Sheffield and this was incorporated into a full retail outlet in 1939 when the City’s Scout Headquarters was opened. The shop was expanded further in the 50’s and 60’s and the complete range of Guide products was added. In recognition of this the trading title was altered to Sheffield Scout and Guide Shop. For a short while in the 90’s the shop traded as SGS Outdoors. The company has a long experience in mail order and web trading. Over the years the Scouting grapevine brought customers to us from many parts of the UK and overseas. We launched our first web site in 2002 and this was re-vamped in 2005 in a format designed to assist leaders. A further site for Scout Centenary products was added in 2007 and an E-Bay shop opened trading under the title of “Scout and Guide Supplies”. A full E-Commerce web site was opened in 2008 and an Amazon shop in 2012. The web site has been re-launched in early 2014 with a more streamlined design. The shop, which specialises in Scout and Guide products, offers the complete range from both movements and holds substantial stocks of the main items in both ranges. Stocks of all badges are permanently maintained in order to provide a high level of service. 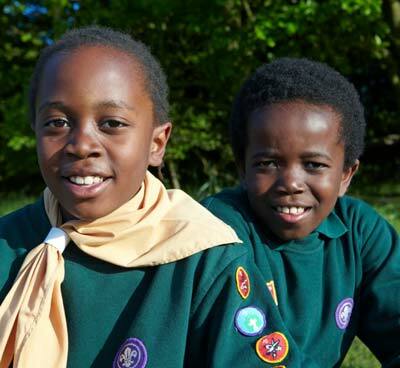 In addition to uniform items we also offer a range of selected items to support and assist Leaders in providing exciting meetings and activities and a range of general outdoor and camping equipment especially suitable for young people. We provide personal credit accounts for Scout and Guide Leaders and officials. Requests for further information or for application forms should be made by telephone or by e-mail to: sales@sgs-outdoors.co.uk. As an incentive for customers and a reward for Groups/Sections we operate a Loyalty Bonus Scheme. All sales are provided with a receipt/voucher, which can be collected by Groups and sections and exchanged on a regular basis as payment for goods. Full details of the scheme can be obtained by following the link at the foot of the page.